Click the button below to add the Copper Mirror "CA14" to your wish list. Rustic home decor will benefit from including this copper mirror from Mexico. It is hammered in rectangular shape and offered with a few color finishing options. They include four patina styles, polished, oxidized and nickel platted. Average delivery time is about four weeks from your order date. 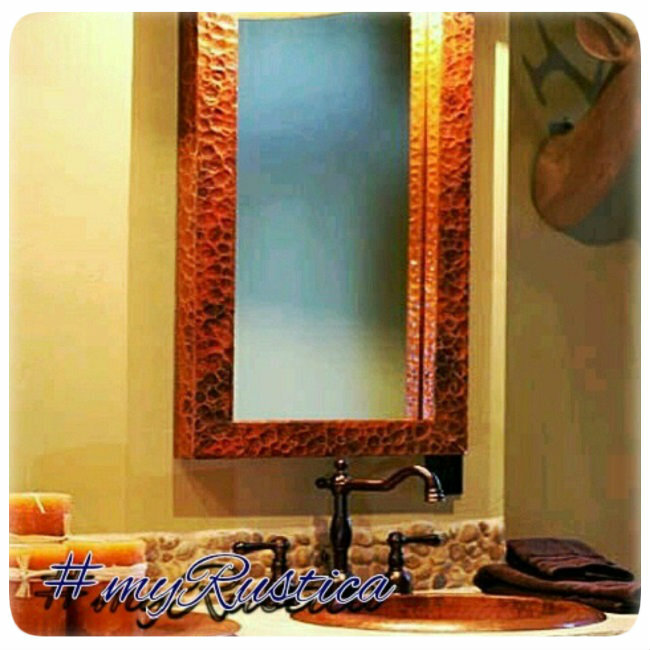 Rustica copper mirror CA14 is shipped from Mexico.